Damien Breaux joined Morgan Skenderian Investment Real Estate Group in 2004 with the intention of exceeding the expectations of apartment investors, on a team that differentiates itself with impeccable service. He prides himself on going above and beyond for his clients, making sure to provide individualized solutions that achieve their specific goals, while also ensuring that the process of buying, selling, or exchanging is as easy as possible for them. Damien came to Morgan Skenderian from a large commercial real estate firm, where he spent time sharpening his skills in acquisitions and marketing. An early graduate of the University of Southern California, Damien earned a bachelors degree in Business/Sales Strategy, and graduated in the top five percent of business students nationwide. He is now an active member of the Alumni Association. 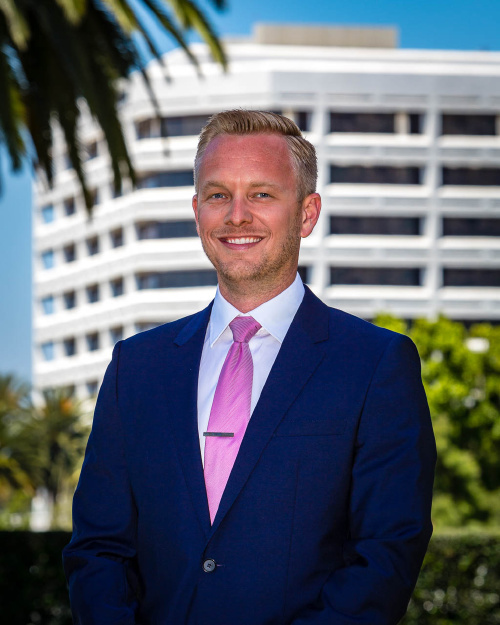 Born and raised in Orange County, Damien was exposed to the apartment business at an early age by his father, a broker and owner of apartment buildings for over thirty years. This, coupled with being an active apartment investor himself, has enabled him to relate to clients and truly understand their financial objectives. Damien now resides in Mission Viejo with his wife, Laura; their daughter, Jordyn; and their son, Spencer. In his leisure time, he enjoys traveling, camping, golfing, and coaching soccer.